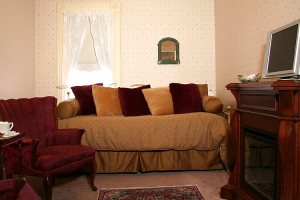 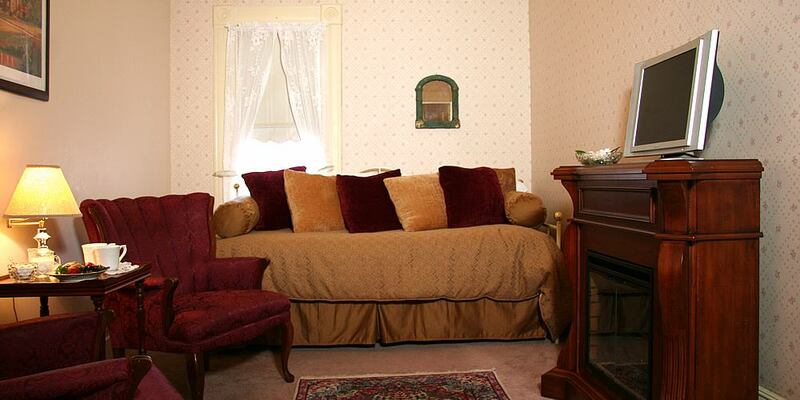 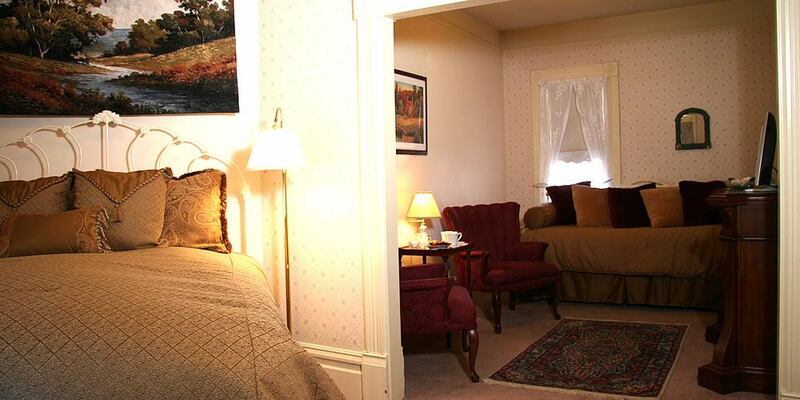 This very private room is located up the back staircase of the main house. 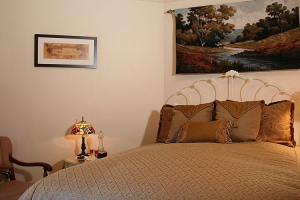 Its sleeping area has a queen bed. 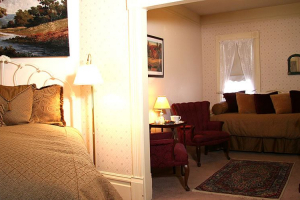 The separate sitting area has two lounge chairs, a flat panel television, an electric fireplace, and a day bed that can sleep a third person. 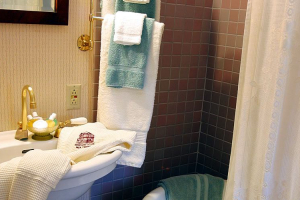 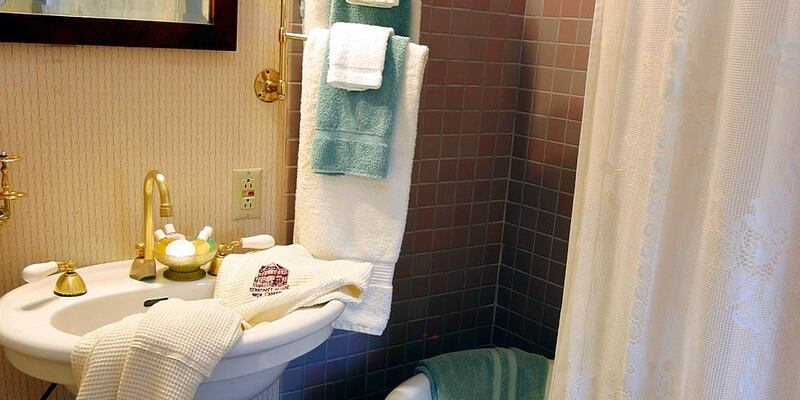 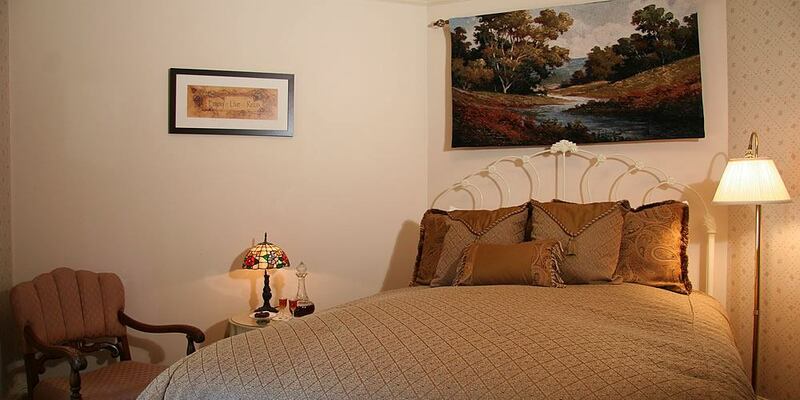 A relaxing bubble bath awaits you in the private bathroom with claw foot tub with shower over.